The U.S. government shutdown dragged on past the one-month mark, creating financial panic for many government workers and resulting in a ripple of negative affects across the country. In the pharmaceutical industry, the primary concerns have been centered around FDA approvals and patient safety issues, as we discussed in an earlier post. The shutdown has also caused another major problem that may not be instantly noticeable to pharma, yet could have profound aftereffects (even once the government is re-opened): the suspension of scientific research. While the shutdown of government agencies such as these may not initially seem like a big issue for private pharma businesses, pharmaceutical companies actually stand to be affected in a variety of ways when these departments aren’t fully functioning. As David Malakoff of Science notes, the shutdown has created chaos “for university researchers, private contractors, and others who collaborate with idled federal scientists, or depend on affected agencies for funding, facilities, and data.” Pharma researchers and firms are certainly among those “others”. Malakoff interviews researchers such as a Michigan State University entomologist whose research can’t be sent to the USDA, which in turn means delays in agricultural research that could leave agribusinesses without vital information for growing season. He also talks to a health policy researcher who relies on data from the shuttered U.S. Census Bureau, resulting in her inability to publish the latest evidence on the policies she studies. These are indicative of the types of issues that will affect all science-based industries, including pharma, as scientists are unable to access crucial data for their research and their publication efforts. Wilson also reminds us of the potential impact in tech development and the effect on the STEM workforce. “Missed (or delayed) opportunity costs are high, as some planned investments are in areas with fierce global competition and significant investments by other countries – think next-generation computers and communication.” As the pharmaceutical industry has increasingly become invested in high-tech advances like machine learning and AI, one wonders how those areas could be affected. Millions of dollars’ worth of funding have gone ungiven because of the government shutdown. By this time last year, the National Science Foundation had given out well over 400 grants, as Benjamin Corb has been documenting in the American Society for Biochemistry and Molecular Biology Policy Blotter. Think of all the research and progress that has been delayed. No one is an island in the world of global scientific research. Pharmaceutical R&D will be indirectly affected by all these problems, and in many cases will also be directly affected, whether it’s a canceled conference or a delay in a long-awaited publication. More than that, many pharma firms have ongoing collaborations with public and government bodies, so some might even have research partners who are furloughed or unable to access needed data. At this writing, the U.S. government has been shutdown for 35 days. As pressure on lawmakers intensifies, there is hope that it could possibly be resolved very soon (maybe even as you are reading this). But even if it is, the research community will likely be feeling the negative impact for a long time to come. 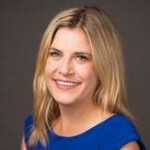 As a professional with over 14 years of experience in strategy development and partnership management across a variety of industries, Nicki’s latest role as a Senior Manager, Segment Marketing at Elsevier applies her skills to the area of drug discovery and development in the Pharma and Biotech industry. In this capacity she is focused on understanding biopharmaceutical R&D challenges and turning them into opportunity to further Elsevier’s ability to serve industry executives and the professionals who innovate in the drug discovery and development space. Prior to joining Elsevier, Nicki held senior alliance and strategy roles in the Legal, Tax & Accounting, Life Sciences and Cyber Security industries.